Tony was informed of yet another surprise during the D23 Expo, Tom Staggs, Chairman of Walt Disney Parks & Resorts, announced that he would be honored with his very own window on Main Street at Disneyland, CA this fall. If there is any honor possibly higher than the Disney Legends, this just might be it. We caught up with Tony briefly to see how he’s been. EE: It’s been awhile since we’ve seen you! What have you been up to the past couple months? TB: The last couple months have been a whirl wind as you know, they changed my role at Walt Disney Imagineering in February. I thought it was going to be more relaxing but as it turns out I’ve been more and more busy. 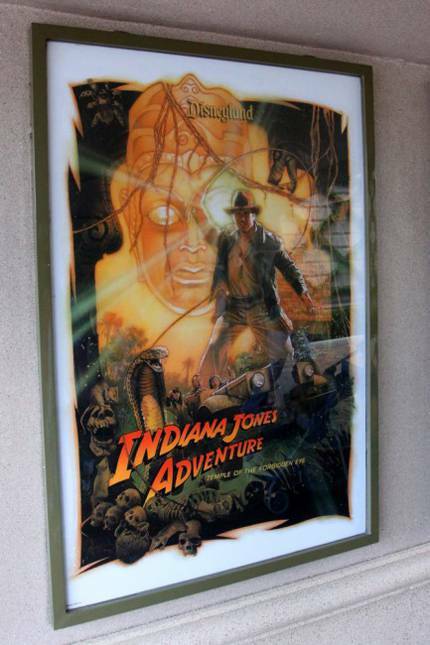 Recently we worked on some updates to Indiana Jones Adventure and I felt privileged to be involved in that. 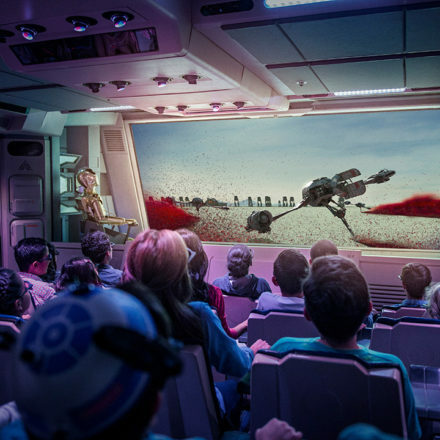 One of the fun things is seeing the change, like some years ago, being one of the people to birth Star Tours and we were there the last night it ran… and now to see the new show, to get the reactions to it. Walt used to say that the neat thing about the parks versus the films is that the parks can grow and change and become more magical with time, so I think that’s a joy for me. Big Thunder right now is undergoing the first major renovation in its entire almost 40-year life. What I really enjoyed focusing on most in the last few months is working with really young people who just started working at Imagineering and being a mentor to them. I reflect on when I came there and I was working with the great guys like Marc Davis, Claude Coats. Particularly Claude who became my mentor, if I can do that for young people today, you know, the age gap is broad enough that they’re not waiting for you to leave and you’re not worried that they’re going to take your job away, it’s really symbiotic. All of the training that they’ve had in school in the modern era is the things I learned and I can feed to them so they don’t make a lot of the same mistakes we had to go through. 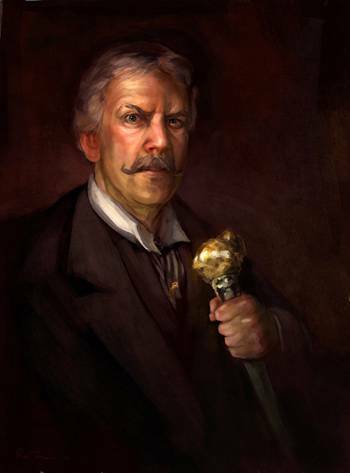 EE: Working on Indiana Jones Adventure again, have you caught up with Harrison Ford since then? EE: Would it be reasonable to have Harrison Ford do more for the parks at all, or record new voice tracks for the attraction? TB: You know, he is not one to go out and be a marketer. I know his family has been on the ride and I think he’s been on too but that was a hard thing to tell him to come see that these are not exploitive things. They have the same integrity that the movie has and I think that’s really important to him. EE: Switching gears now to Star Wars, did you have much involvement with the new Star Tours? TB: Yeah, when we first started we were just going to do the Podraces. This was before the whole idea of doing a multiple choice thing and going to 3D… that was the last involvement I had with it. Some of those elements certainly survived into the final thing if you get that particular version. EE: Being the Star Wars fan you must have rode all the sequences by now. Do you have a favorite one? TB: We sat in there one day and we went through every variation and they’re all equally good. 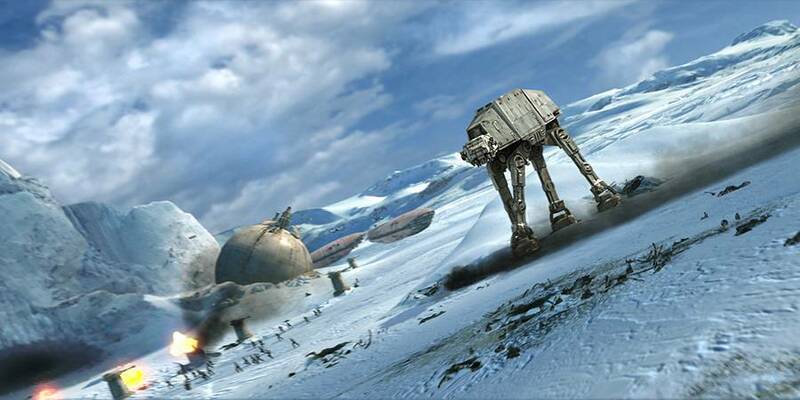 I guess I kind of like Hoth though, there was that one teetering moment, that’s one of my favorite ones. But, I like the podrace too. 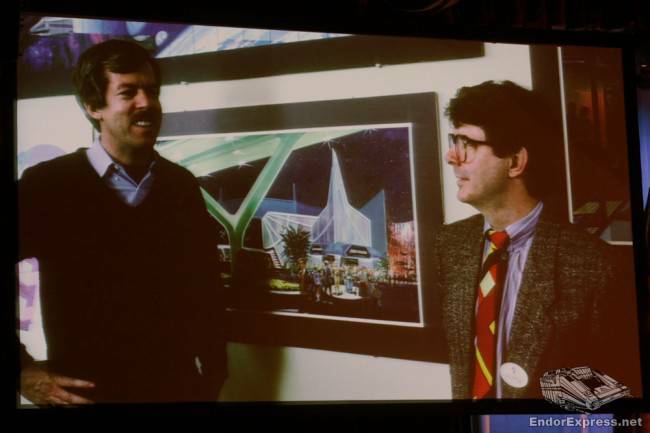 EE: Could you tell us more about working on the original Star Tours? A favorite memory perhaps? EE: Was there anything in Star Tours that may have gone in another direction? I recall Dennis Muren wanting to avoid another Death Star run. TB: One of the things I wanted in the ride was the trench shot. Dennis Muren wanted to go in a new direction. He wanted to challenge ILM to do new things. Even though our trench shot was an entirely new shot, it’s something that they have done before. I said to him that from a guest standpoint, getting to do that is something you’ve always wanted to do and now we can give you the feeling of what that would feel like. So he tells me that I’ll have to sell George [Lucas] on that idea! So we all made our pitches while George listened and I said that I want the pilot to say, “I’ve ALWAYS wanted to do this!” because that’s what every single person is going to be thinking. And we got it in and George created that pilot, he said that was all me. EE: The original Star Tours ride is something I truly do love and hoping we can maybe get a variant back into the ride someday. TB: Well you know, it was a film that was constructed as a linear event where as now you have the different sequences. I think they do a really good job matching but compared to the linear story telling, it’s just a format much like a video game. The first one was much more cinematic. EE: And as guests we are now missing that Death Star trench run that is STILL very fun. TB: You know the thing is as long as there is a long line for this one there won’t be any reason to do the change but I think as time goes on and Lucasfilm is a part of Disney, it’s a lot easier. Each time we did something like this it involved various contracts and all that. EE: And now you can just do it. TB: Now you can do it! I think what would be really interesting is to start planning for that for the next Expo in 2015 because the timing would be just about right. EE: Are you excited for the next Star Wars Celebration? TB: Yeah! And that’s the cool thing is that it’s going to be here in Anaheim! I live in Anaheim, Disneyland is in Anaheim and so anything that can happen here makes it a heck of a lot easier for me. EE: Another favorite attraction of yours is Big Thunder Mountain Railroad. 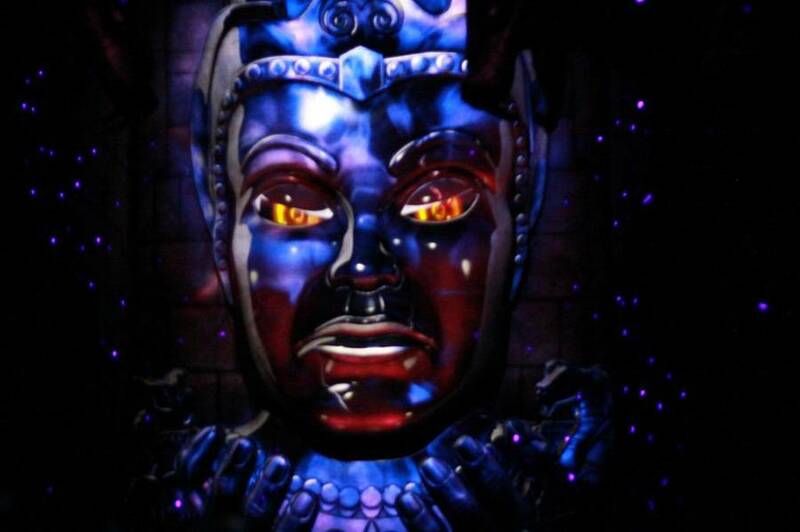 Will we see your face in the re-opening of this attraction? TB: I know they did that in Florida, I don’t know what’s going to happen out here in Anaheim. It’s kind of embarrassing! Nobody likes to look at themselves, especially kind of old and mean! It’s a great painting but I don’t think of myself as grumpy. EE: How does it feel to be a Disney Legend? The thing is, you have always been like a Disney Legend to us already! 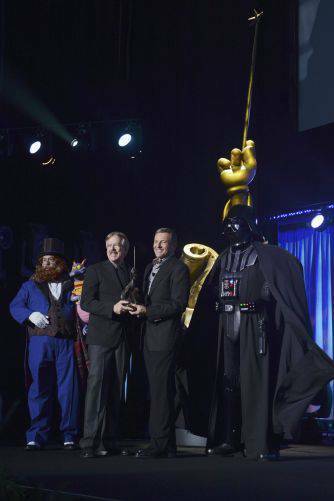 TB: I always felt well regarded because I love doing these events and I love all the feedback I get from the fans, but the Disney Legend represents your peers. Hearing your peers saying that they really admire you and that they want to give you this honor, that really means something. That’s harder to get because in a way, they’re your peers, they’re your competitors, the people who know how all this is done… it means a lot. EE: And a Main Street Window too! TB: Yeah, I didn’t know anything about that! I haven’t even processed that until you said it right now. Oh my God. EE: Tony, congratulations on all of your successes and thank you as always for talking to us. TB: Sure, we’ll see you in the parks. 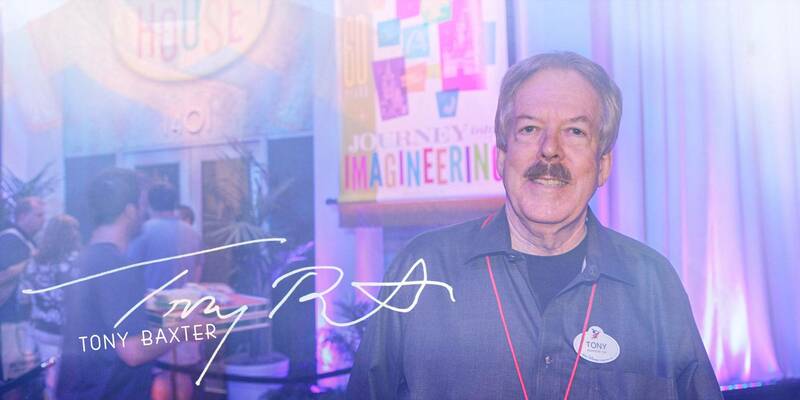 Thanks goes to Tony Baxter for always being generous with his time and to Frank Reifsnyder for all his support.